Distracted driving should ALWAYS be avoided and you should NEVER text and drive. Slippery roads don’t bode well for inattentive/distracted drivers. If your car is Bluetooth-equipped, we suggest utilizing the feature or have one of your passengers respond to your messages. If your holiday celebrations including parties, or visits to the local bar, be sure to plan for a designated driver. Planning ahead makes it easier for everyone to enjoy happy hour and a safe ride home. Once your plans are made, make sure to thank your D.D. for making your holiday celebrating safe! It may sound like child’s play, but ensuring your car is serviced and prepared for winter driving is often overlooked and can cause serious problems! Consider stocking your vehicle with an emergency winter car survival kit (thermal blanket, kitty litter, candles, etc.) and don’t forget to keep a pair of jumper cables in the car. Older vehicle batteries will often get finicky when temperatures get low and the snow starts to fly. Make sure to check your tire pressure and the depth of your tread, as these are incredibly important when it comes to traction on slippery roads. There are many travel apps and websites that can be used to plan your winter driving ahead of time (especially for long trips). Depending on how much time you’re willing to invest, you can even research when the roads are the most congested and plan your route accordingly! 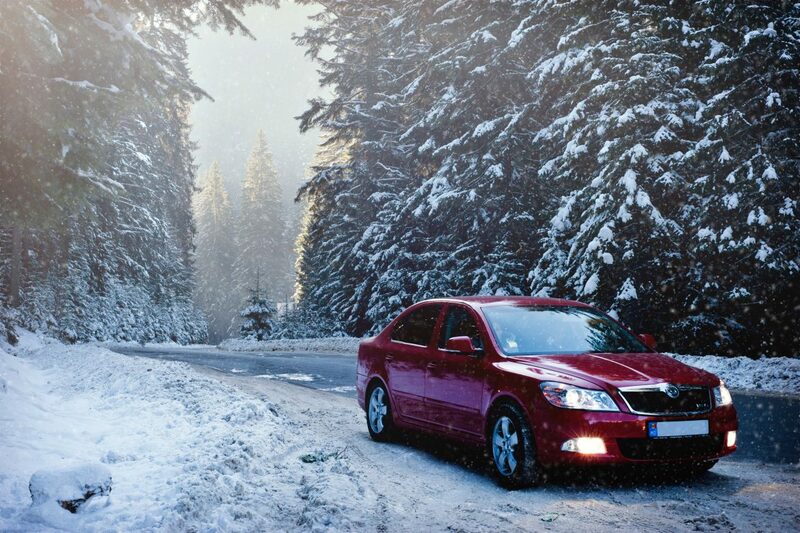 Possibly the most important tip about safe winter driving is to WATCH THE WEATHER. Knowing what sort of winter weather you’ll be running into ahead of time gives you the ability to plan for it. Simply put, if the weather looks very bad, consider postponing your trip or cancelling it altogether. It’s not worth it to put yourself and your family/friends in danger even if you feel like your destination is important. NOTHING is as important as safety. We hope these tips help guide you through the holiday season safe and sound! In addition to the tips above, you may consider looking into your auto insurance coverage. When accidents happen, you’ll thank yourself for being prepared! Contact the Trottier Insurance Group today to discuss your coverage and find the best options for your needs. Happy holidays!